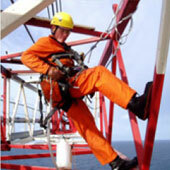 Falls from height remain the most common cause of workplace fatality. In 2011/12 there were 40 fatalities, over 3000 major injuries and a further 4000 injuries that caused the injured person to be off work for over 3 days or more, due to a fall from height. Total Construction Training has the right course to equip your workforce with the necessary knowledge and skils to prevent accidents from happening when working at height.